The Nike Air Max 720 has just returned in a new striking colorway. This time the shoe is covered by a “Green Carbon” colorway that features a gradient upper which goes from light green to dark blue. Black detailing then hits the Swoosh and “AirMax” branding, toe cap, and heel tabs. 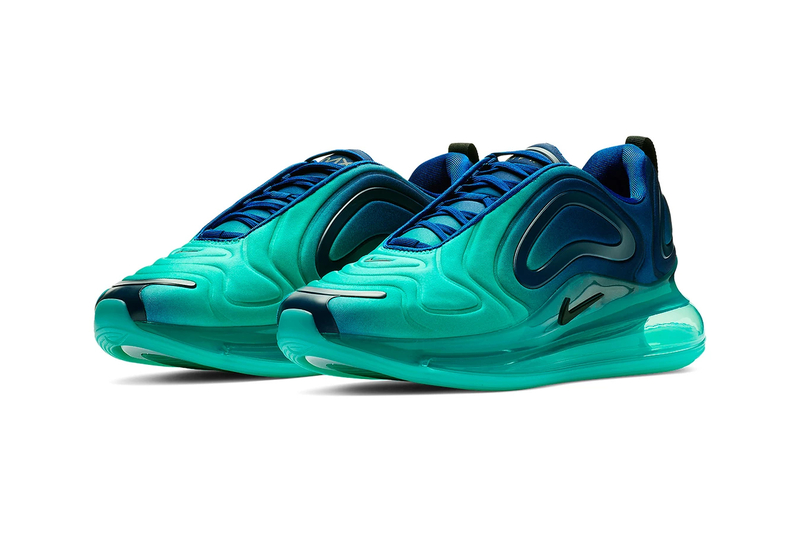 Finally a translucent full-length teal 720 Air Unit finishes off the look of this sneaker’s “Green Carbon” outfit.